Namely, would it be akin to use a razor (assur) OR more akin to using a scissor (likely mutar)? This question has an open bounty worth +200 reputation from Isaac Moses♦ ending in 2 days. Yeyasher kochacha to sam, co-winner of the latest Best Answer Contest! It is permitted to use depilatory cream (but not on Shabbat). The Torah only prohibits using a razor to cut the corners of the beard. There are five such corners and many positions when it comes to the details, so a pious person should not use a razor on any part of his beard, nor even on his mustache or on his neck. There is no difference between an actual razor and a sharp stone that cuts hair: they are equally prohibited. Those who remove their beard using a depilatory cream must be careful not to scrape the cream off with a knife, as that might cut the hair. Instead, they should use something like a wooden chip. In the olden days, men who were clean shaven typically used depilatory creams to achieve that look. This involves no prohibition because it is not considered shaving. 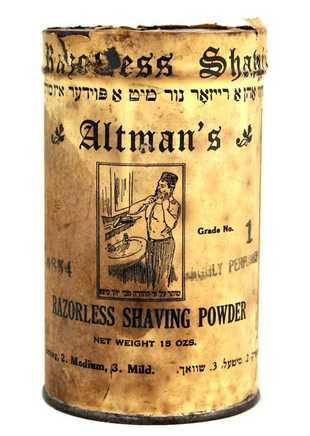 This is a can of such powder (cream) that Jews would use on the Lower East Side around 100 years ago. 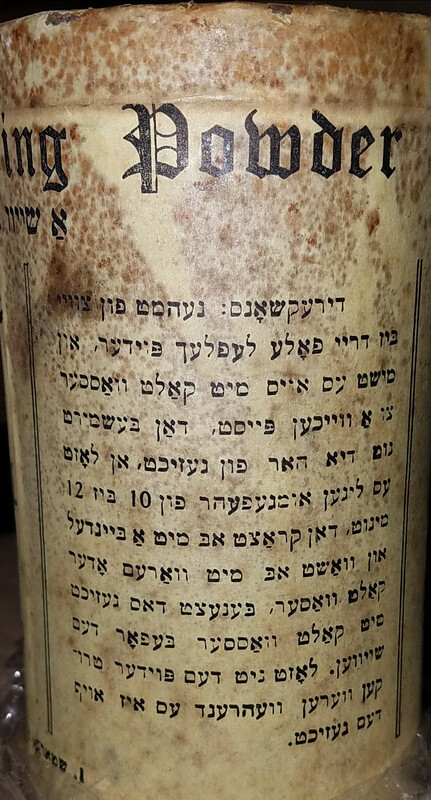 If you look closely you will see that it says Mutar based off the teshuva of the Noda B'Yehuda YD 81. 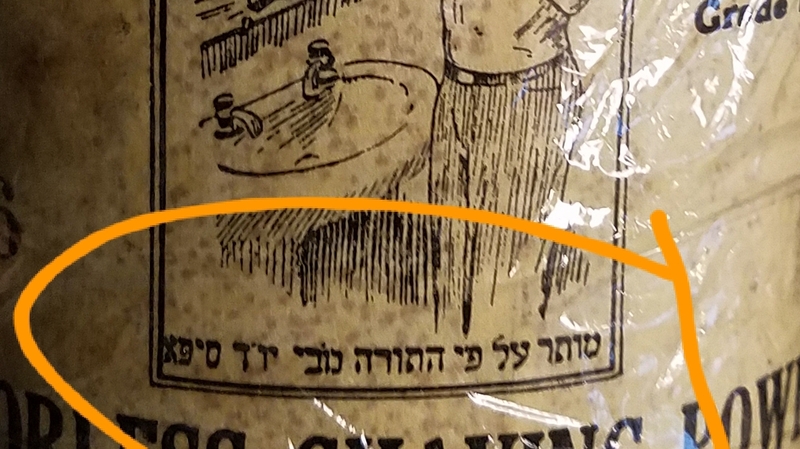 Yiddish text on top says: א שייוו אהן א רייזאר נור מיט א פוידער איז מותר. Pischei Tshuva in Yoreh Deah 181 #5 brings opinions that it is allowed, warning however, not to scrape the application off with a knife. This is already mentioned by the Kitzur Shulchan Aruch in 170:2 as being permitted with the caveat of not using something sharp as a scraper. Those who remove their beard by means of a cream prepared from lime and avirem, should be careful not to scrape off the cream with a knife, which might cut the hair; but they should scrape it with a strip of wood or something similar. I heard from Rav Y. Y. Neuwirth זצ"ל that anything sharp enough to cut an apple would be forbidden. Not the answer you're looking for? Browse other questions tagged halacha hair shaving . Is scissors vs. straight blade really a significant difference?